Hello Everyone I am a high school student currently doing Extension 1 Mathematics at my school. I am currently looking for a high quality mathematics book. Although I am not looking for a book, like many others that I have already read, which teaches you the content in a topic such as circle geometry or integration, but rather a book that teaches you, and shows you tips that will help improve you general mathematical ability, skills and frame of mind. It has occurred to me that maths is not just about manipulating numbers, or solving a problem through changing for example the place of the x variable until you come to an answer, but also includes a certain frame of mind that allows you to break a certain problem into something that can be solved through numbers(like thinking about a tree as a length instead), and as efficiently as possible. This is the book I am more trying to find. A book that could give me tips on ways to think about a problem analytically and tips to allow problem solving to be easier in this area. methods or tricks in mathematics to help simplify or solve hard questions involving algebraic manipulation, basic problems involving sketching parabolas, hyperbolas and circles. I also understand that practice questions will help improve my ability, but a maths book that will give me an understanding and specific skills in breaking down questions and converting them as to say into an analytic form will definitely help me. There are a number of books you can try in order to improve your general mathematical ability. The first and most popular one is Polya's How to Solve It. It's a great a book that allows you get the fundamentals of problem solving down furthermore, teaches you how to write up a solution. If you aren't too fond of this book, you try How Think Like a Mathematician by Kevin Houston. It's a great book which goes through the same concepts as How to Solve it but then it adds on. There is an introduction to set theory, injection, surjections etc. After you have gone through those, I would recommend The Art and Craft of Problem Solving by Paul Zeitz. This is a great book if you already have a decent level of mathematical ability. It is very thorough and incredibly clear. The first chapter involves general mathematical ability and then it goes through the various fields of mathematics such as Number Theory, Calculus etc and teaches you how to solve problem using the techniques you learned in Chapter 1. My last recommendation is Problem Solving Through Problems by Loren C. Larson. This book is at a slightly higher level than the previous one and it goes more in-depth. It has a similar structure to The Art and Craft of Problem Solving. If you're not a huge fan of textbooks or books, you can try the website Brilliant.org. 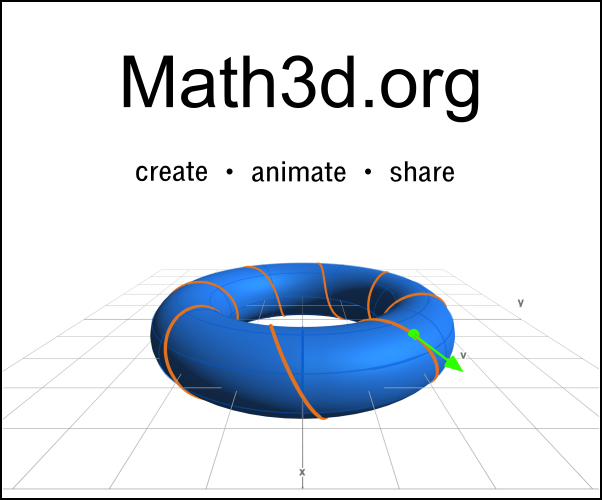 This website teaches you, from the ground up, through problems general mathematical ability. For example, it has an entire section on Algebra which you can go through which will enhance your algebraic abilities to a much higher degree. $\cdot$ Methods or tricks in mathematics to help simplify or solve hard questions involving algebraic manipulation, basic problems involving sketching parabolas, hyperbolas and circles. Most textbooks you are using should describe in detail what manipulations are possible for a specific type of question and why (such as $u$ substitutions for integrals). And as I stated in the comments above, many of the older textbooks that were used in NSW in the 70s and 80s go in greater depth than current textbooks. I actually have a few that I have lent to students of mine and have forgotten the names of them, so I will make a note of this conversation and let you know sometime this week of the names so you can search for them. $\cdot$ Processes or procedures I can apply to mathematical problems that will help improve my ability to break down a problem and solve it effectively ~ I have an issue where I will look at a problem and not know what to do. I'm assuming here you are talking about exam situations. The harder 3 unit questions are usually a combination of different topics that you have learnt and this often confuses students. So this comes down to practice and experience. The more you revise a topic, the more you will be able to recognise particular question types and in doing so, you will be able to clearly see the path to take to solve a problem. Also, learn as many ways as possible of solving a particular problem. Every little bit helps. $\cdot$ Improve my understanding on the actual idea of mathematics, not necessarily the content associated with it. This is what the teacher is there for (although I know teachers generally teach you how to solve a problem without explicitly explaining the ideas behind the method, mostly because of time constraints). Often, the best things to do are graph problems so you can get a feel for what you are actually doing (though this doesn't work for alot of topics) and also to learn the proofs at the beginning of each exercise in your textbook (i.e. Go through your textbook to the exercise on the chain rule. In the page(s) preceeding it, there should be a short, succinct proof of the chain rule (most books have this anyway). Read the proof and think about what it is trying to convey to you). $\cdot$ The history of how mathematics was formed (I am interested in this area of mathematics). This is not as important as other dot points. Wikipedia can save you time and money here. Though there are plenty of books available on the history of mathematics, books and lectures by William Dunham are a good place to start (I recommend his lecture "A tribute to Euler" on youtube). Not the answer you're looking for? Browse other questions tagged recreational-mathematics math-history education book-recommendation or ask your own question. Soft question — I need books and exercise books that will be working on my fundamental skills. What is a good book for reviewing high school math, and preparing for university?